The goal of NASA's 3D-Printed Habitat Challenge is to create substantial shelters for the moon, Mars or beyond. 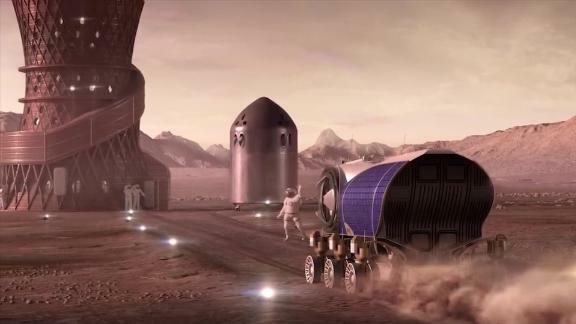 The challenge, which began in 2015, has seen teams competing to design shelters suitable for the Moon, Mars and -- optimistically -- beyond. For the fourth level of the third phase of the competition, 11 teams were asked to create full-scale renderings of their designs using modeling software, and short videos explaining their choices. Each model was evaluated for architectural layout and aesthetics, as well as the feasibility of their construction and scalability, among other traits. Previous stages focused on architectural renderings and technologies required to build each design's components. The competition is just the latest development in NASA's mission to send humans back to the moon and, eventually, to Mars. Last November, the agency announced that nine US companies were eligible to bid on $2.6 billion in contracts over the next 10 years to deliver services to the moon, and in 2017, President Donald Trump signed Space Policy Directive 1 to "refocus America's space program on human exploration and discovery." "(Space Policy Directive 1) marks a first step in returning American astronauts to the Moon for the first time since 1972, for long-term exploration and use," he said. "This time, we will not only plant our flag and leave our footprints -- we will establish a foundation for an eventual mission to Mars, and perhaps someday, to many worlds beyond."